I want to have an image take up as much as possible of the content area in a beamer presentation, without overlapping the title, the sidebars, or the footers. How can I achieve this? The code below gives an example of what goes wrong using \includegraphics and setting the width and height from \textwidth and \textheight -- if you try it, you'll see that the footer at the bottom is covered. One can, of course, do something like height=0.9\textheight but that is annoying and not particularly robust if one changes themes... I'm looking for a more elegant solution. The following code demonstrates how to include an image full-size. To customize it, simply change image.jpg to the file name of the picture you want to display. If you're using a beamer theme without a sidebar (such as the default one, Ilmenau, AnnArbor, ...), alter \sidebarthemetrue to \sidebarthemefalse. If you don't want the image to be distorted, simply add keepaspectratio as an optional argument to \includegraphics. Not the answer you're looking for? Browse other questions tagged beamer graphics or ask your own question. 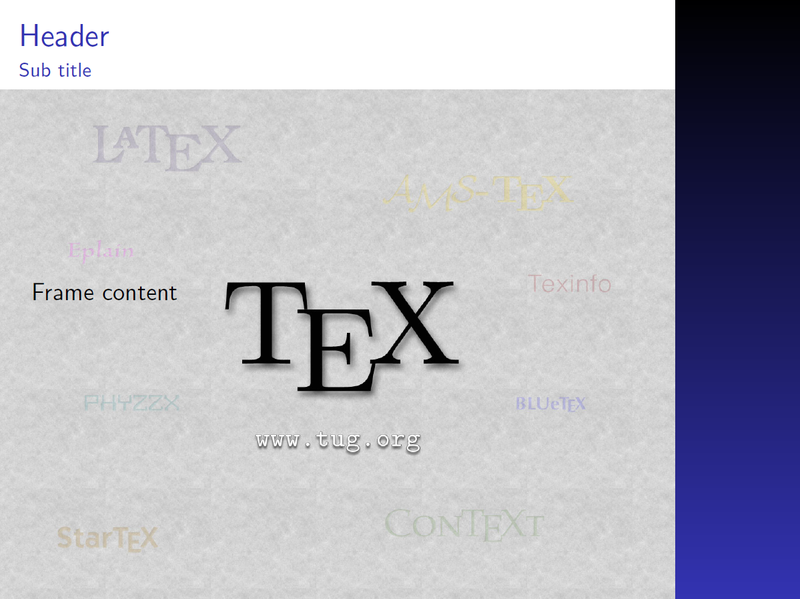 Is \textheight in beamer slides with a title wrong? Changing elements of arrays in Beamer without shifting the unchanging elements.